(Rhinelander)--Petco has announced the closing of most of it's operations at Drs. Foster and Smith pet supply company in Rhinelander on February 12. Petco told employees at Rhinelander of the closing on Wednesday. Petco will permanently close all operations in Rhinelander. About 289 full- and part-time employees work at Drs. Foster and Smith. Petco bought Drs. Foster and Smith in early 2015. It most recently cut 17 pharmacy jobs. In a statement to WXPR, Petco officials said they made the difficult decision to close the business in February. The company says the needs of modern pet parents, shifting consumer preferences and an ongoing evolution of the Petco brand led to the closing. Employees last days of employment will vary from 60 to 120 days. Officials say the employees have been notified of the closing and will be provided severance and transition support. Petco officials say they will work with Rhinelander officials to provide outplacement programming for those impacted in February. Petco today announced that we have made the difficult but necessary decision to close the Drs. 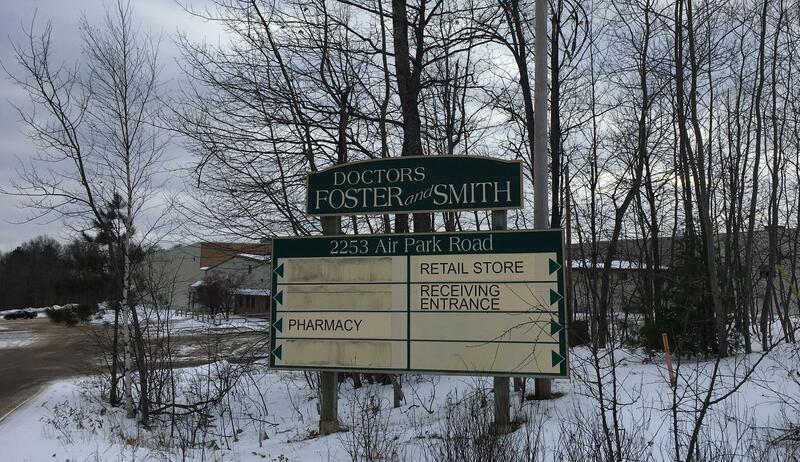 Foster and Smith (DFS) business based in Rhinelander, Wis., on February 12, 2019. Taking into account the needs of modern pet parents, shifting consumer preferences and the ongoing evolution of the Petco brand, we believe this will enable us to streamline operations and better focus on our core business and customer. This change affects 289 employees, with their last days of employment varying over the next 60 to 120 days – all have been notified and will be provided severance and transition support. This decision has not been an easy one, nor has it been made lightly, and we appreciate that it has a very real effect on both individuals and the broader community in Rhinelander. In an effort to help, we’re committed to working with local officials to provide ample outplacement programming for those impacted starting in February. We greatly appreciate all of our partners for their dedicated service and contributions to Drs. Foster and Smith and to Petco.